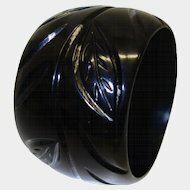 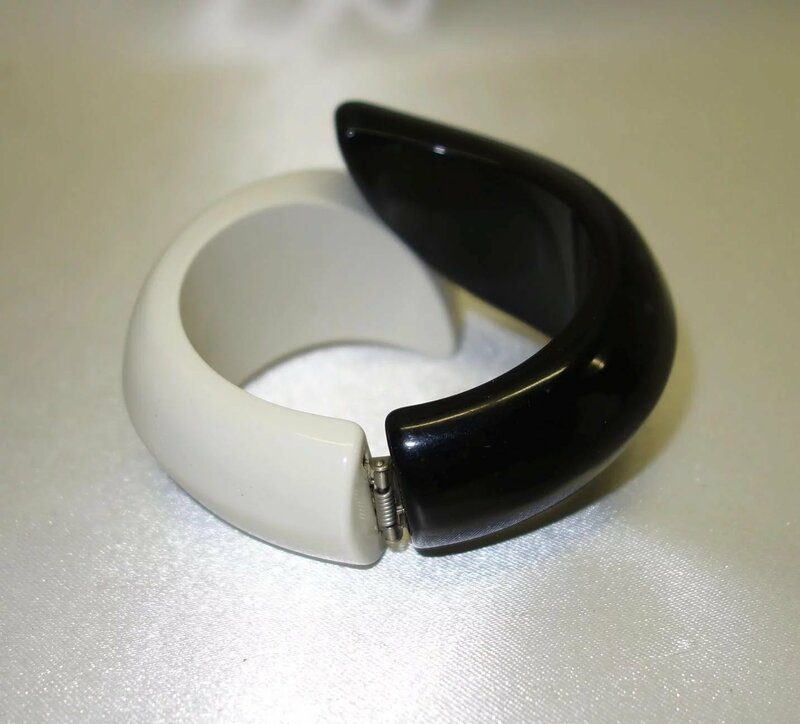 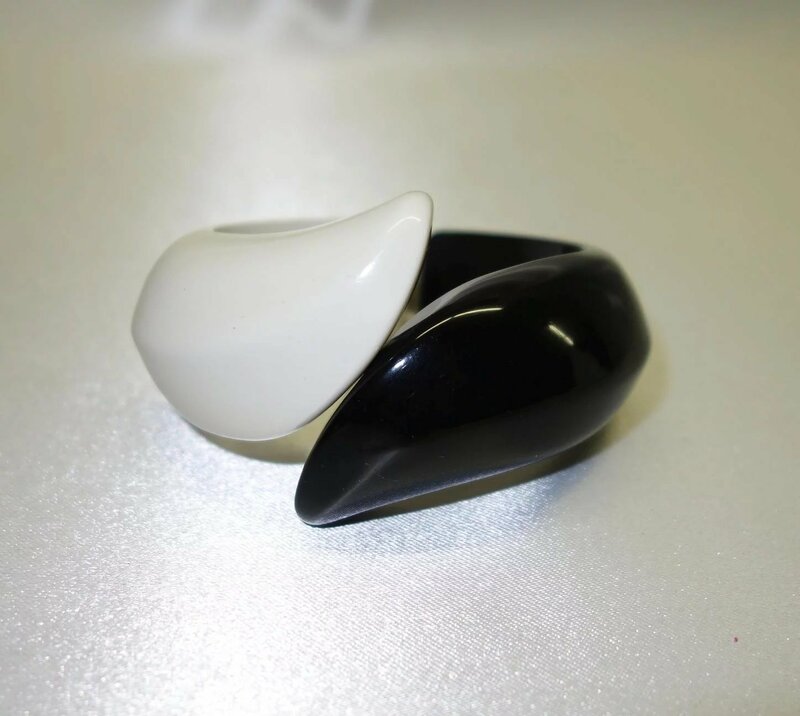 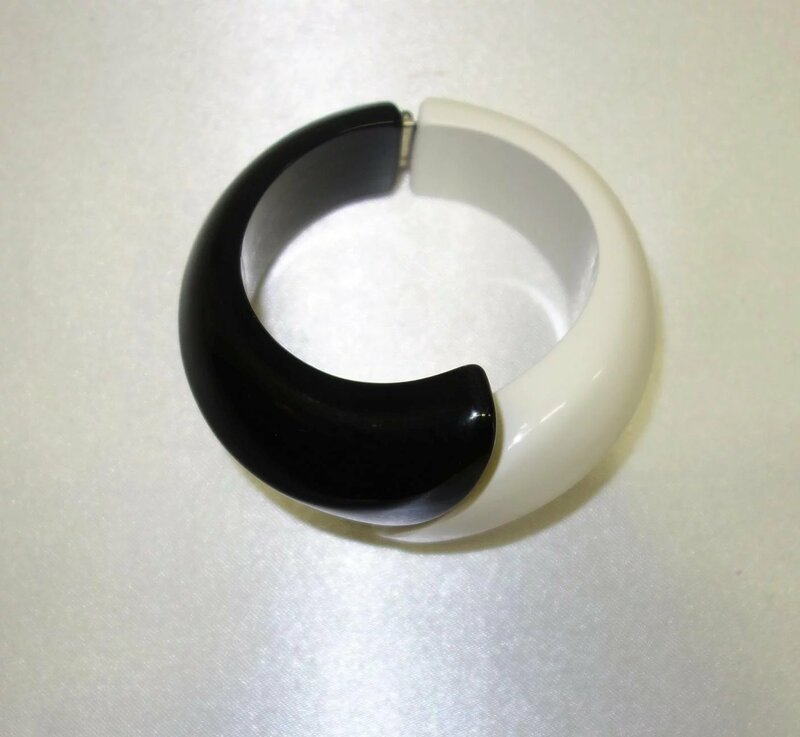 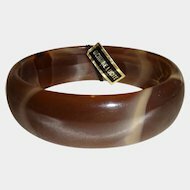 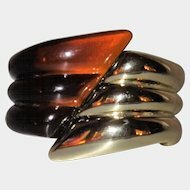 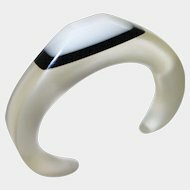 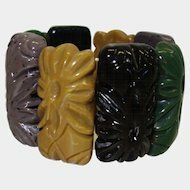 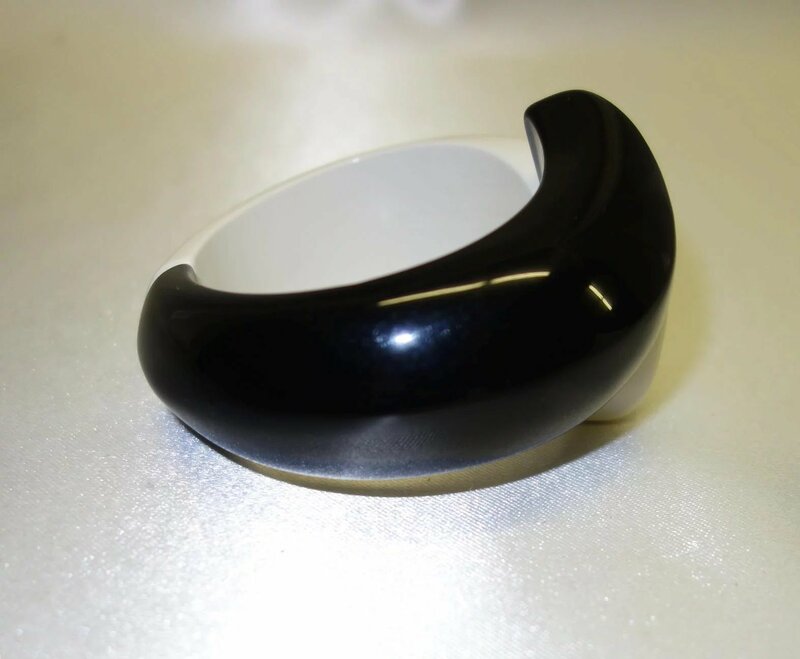 This is a very chic, black and white molded lucite bypass bracelet. 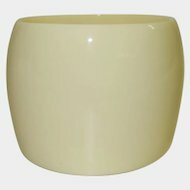 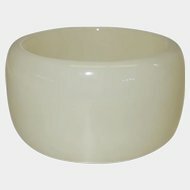 It features thick, molded lucite walls with a peak in the center and a hinge that holds securely. 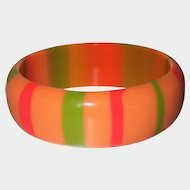 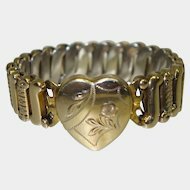 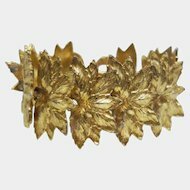 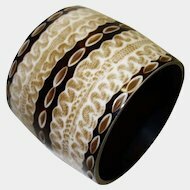 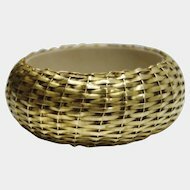 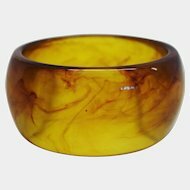 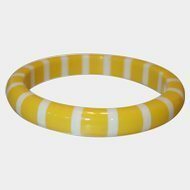 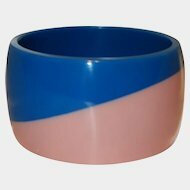 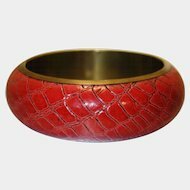 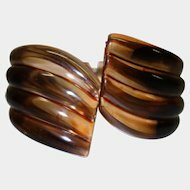 The bracelet is in excellent condition and will fit a small wrist no larger than 6 1/4". 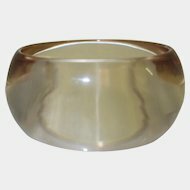 It measures 2 1/4" across the opening and is approximately 2" from top to bottom in the front. 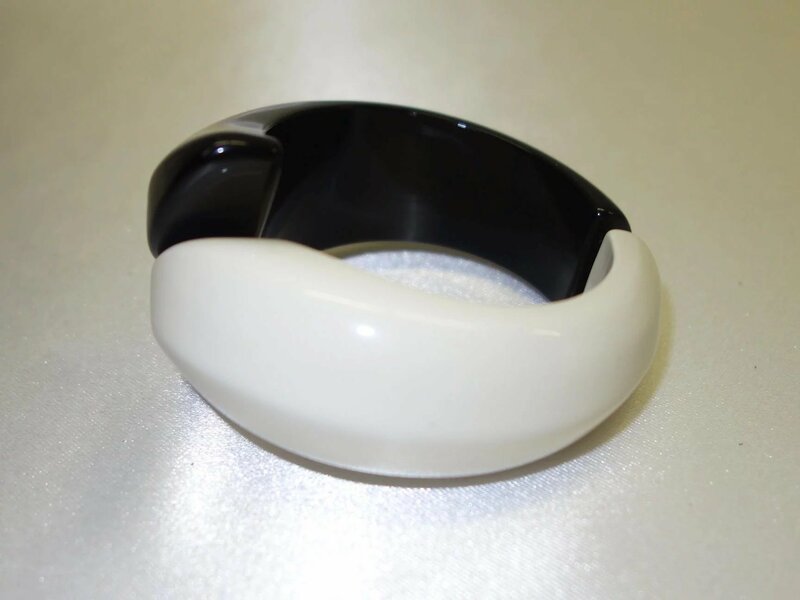 This is a very high quality piece and it has some heft to it Very, very cool.